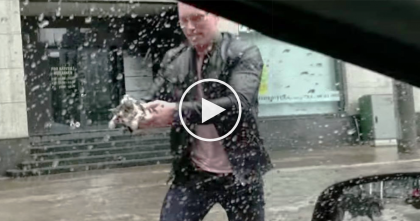 Little Boy Was Scared About Going To School, But When The Cat Noticed… Watch His Reaction! 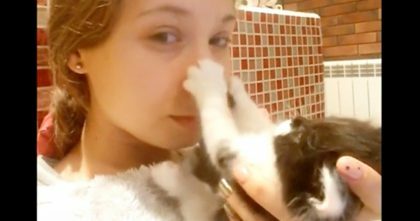 William Dutton has a 4-legged best friend who has been with him ever since he could remember, but when it was time for him to start pre-school, the kitty reacted in the sweetest way you can ever imagine! The kitty could sense that William, the three-year-old was anxious about going to his first school day, but this cat could sense and decided to accompany him – it’s enough to melt your heart! 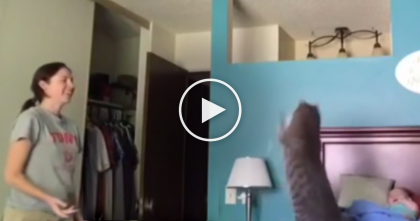 Kitty Invents A New Game With His Human, But Wait Till You See The Baby’s Reaction… OMG. 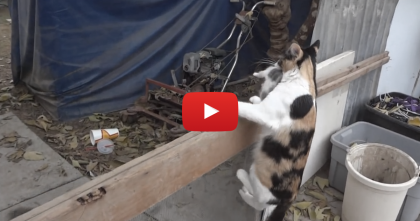 They Wanted To Know Where Mamma Was Hiding Her Kittens… Just Watch And See! 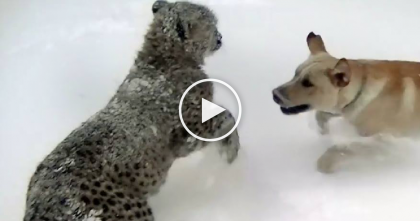 A Cheetah Lunges At This Puppy, And Just When You Think It’s All Over… OMG, How Wonderful!